Where I showed you the idea to grow potatoes in unusual containers . . . such as a box! 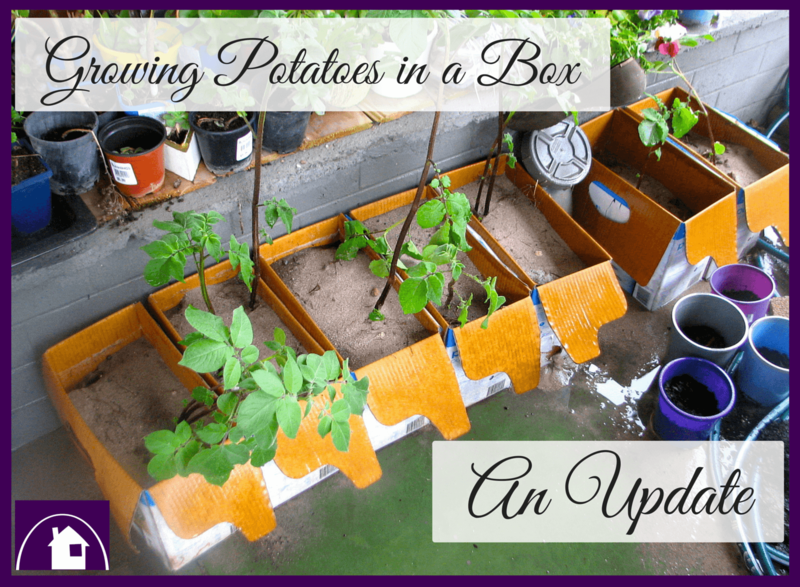 The idea wasn’t just to grow potatoes or to upcycle household waste, but also to help you to see the benefit of looking at items (household & otherwise) with a different eye – and perhaps Create something wonderful. 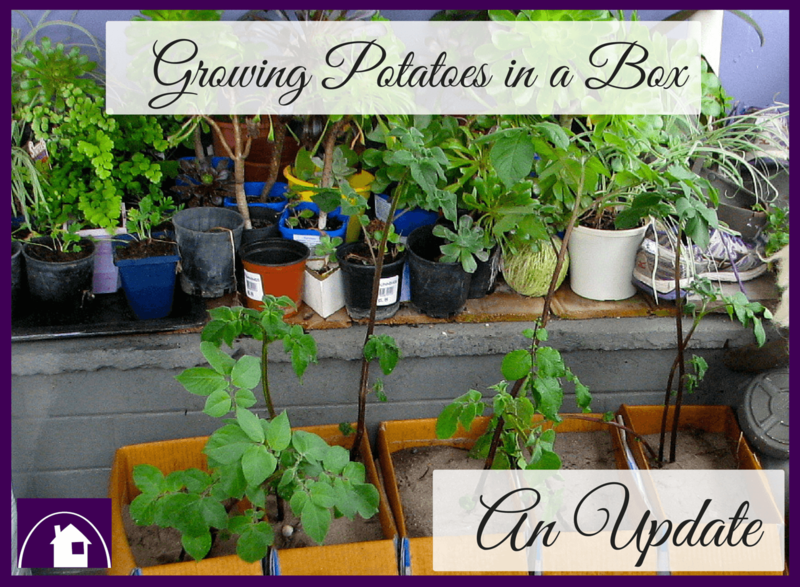 And you’ve got to admit that tipping fresh grown potatoes out of an old box of dirt is pretty full of wonder. 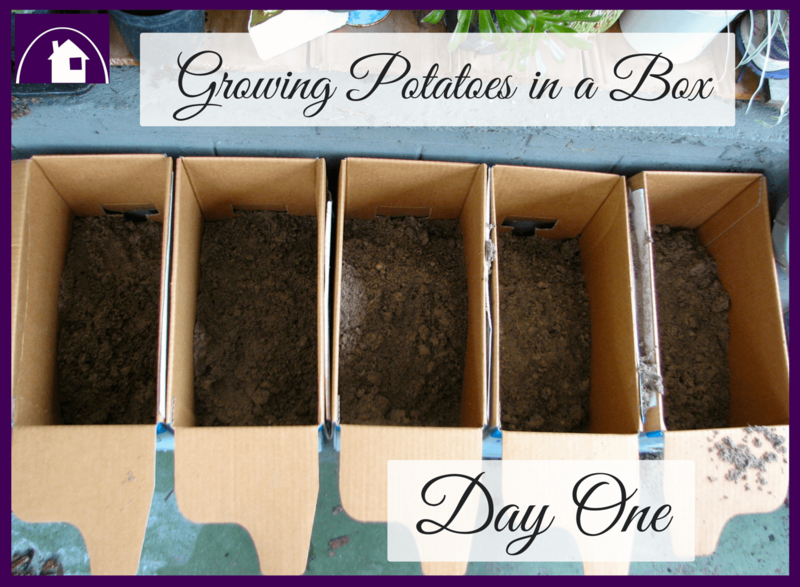 As you can see, my instructions include the layering of soil over a period of weeks. And there is a definite method to my madness. You see . 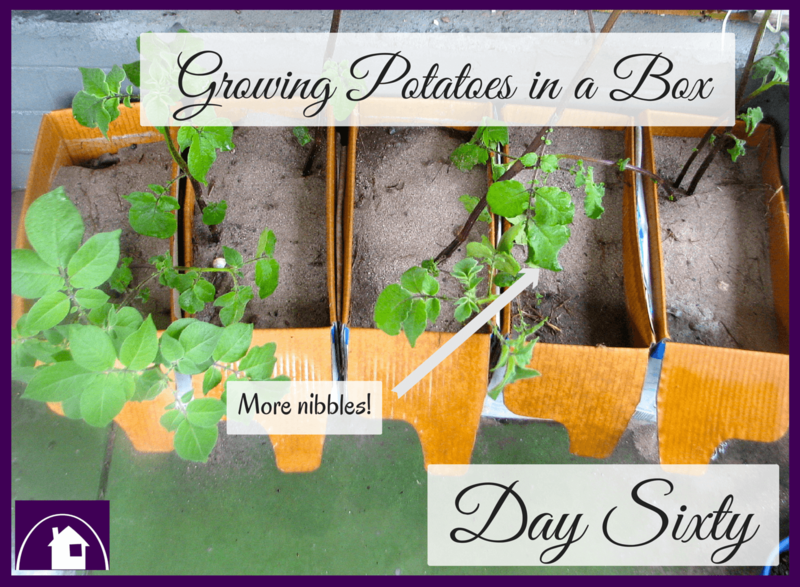 . . when a seed potato sprouts anything that grows UP (like the stalk with all the leaves) can also produce potatoes OUTWARDS. 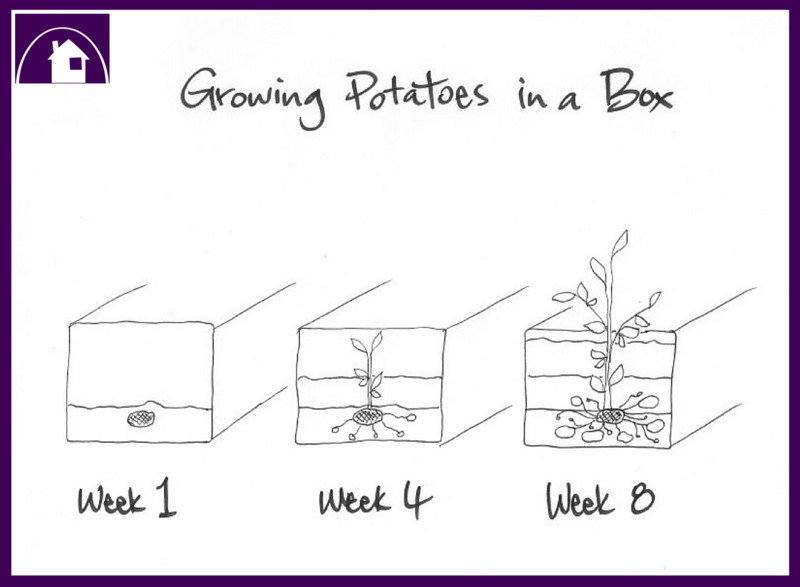 So the more growth you encourage upwards creates more production of potatoes. Why not just add all the soil at once? 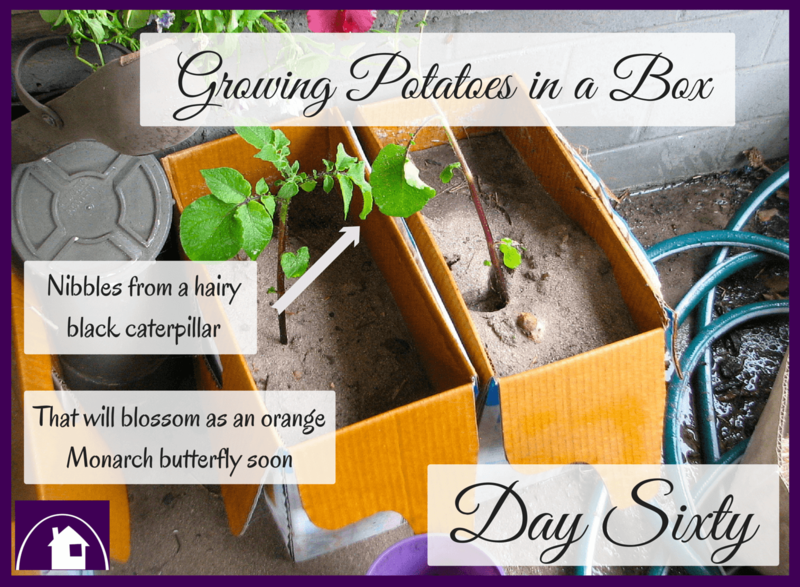 Again – there is a great reason to add soil in stages. 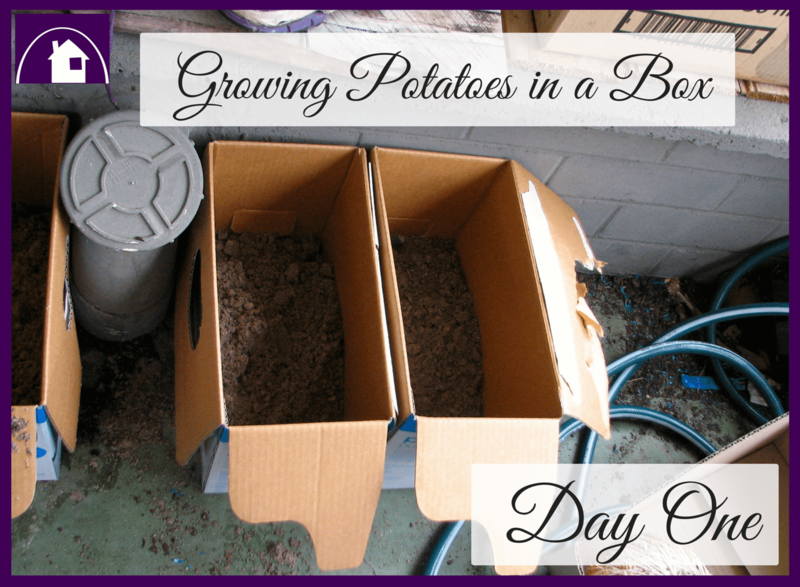 By adding soil in monthly stages, you encourage maximum growth in the plant. It is tricked into thinking that it must produce as many potatoes sprouts (from the main shoot/stalk) as it can. * In the first month – it will go gang-busters in the first 10cm. and not just relying on the actual seed potato to do all the production. 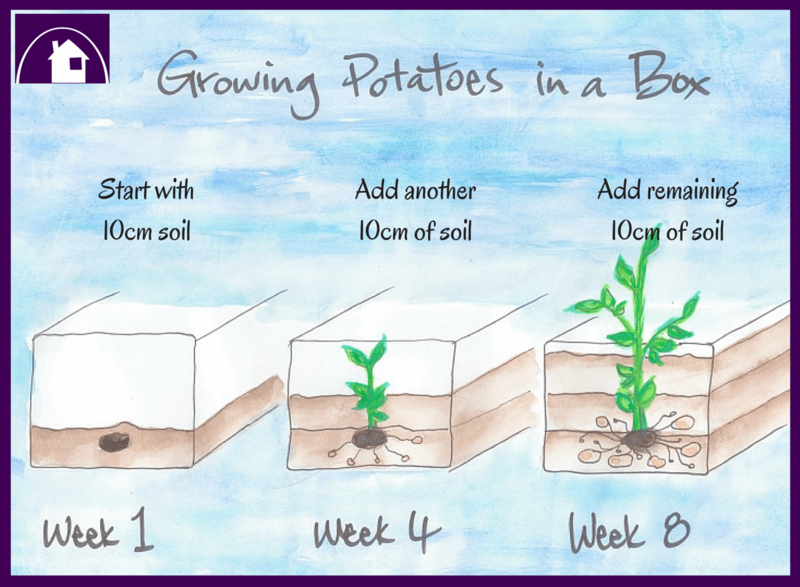 You see, all the nutrients needed to grow a bounty of spuds is mostly already in the seed potato – the majority of the required ‘boost’ doesn’t come from the soil/dirt. In saying this – there is benefit in adding liquid fertiliser or organic material (compost/Manure) to the soil/dirt that you cover your seed potatoes in. However, so you know, I will not be adding anything to my potatoes. 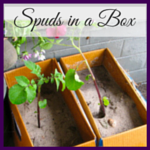 So following are images of my boxes of potatoes. I know that they don’t look like much – I mean, those plants do look a little pathetic – but thats not a problem. They’re actually doing well. This is the photo of my HALF seed potatoes on the very first day of planting. And remember this photo of my WHOLE seed potatoes? Initially there wan’t much happening. Now look at them . . . . 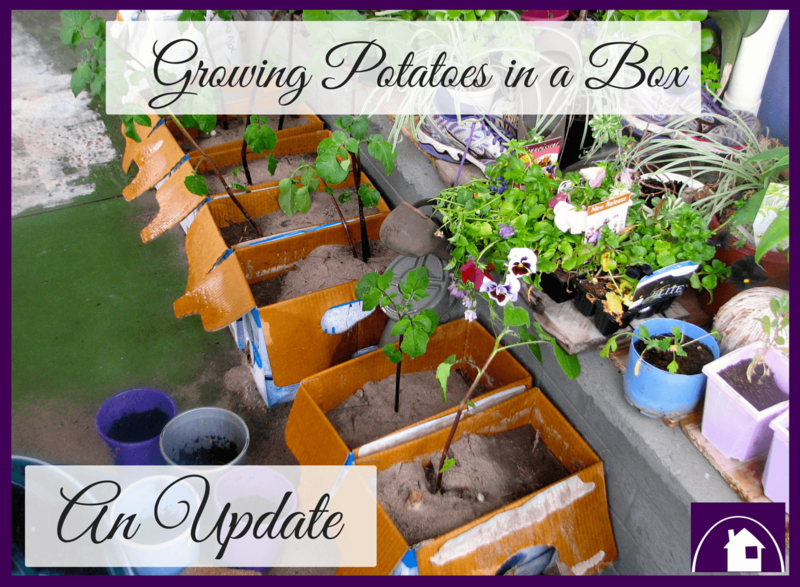 So how are your seed potatoes going? Did you manage to plant before spring hit us? Did you go garden bed or container? I would genuinely love to know how you went.